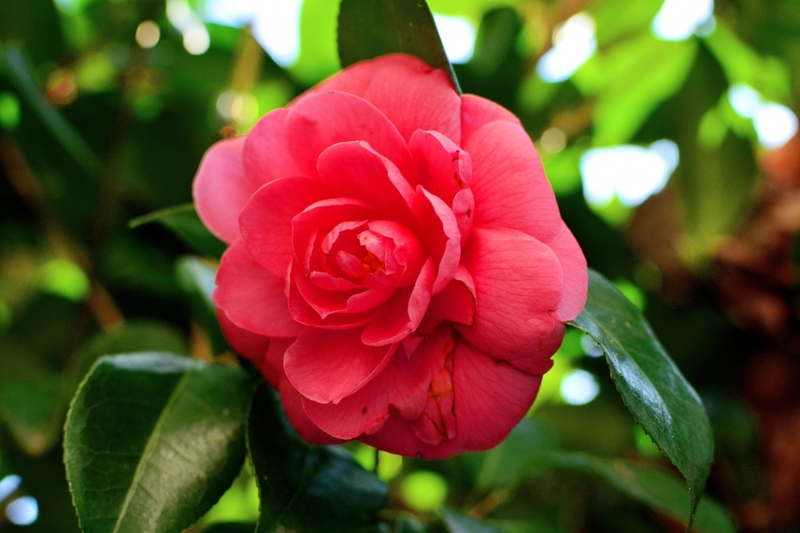 Common camellia (Camellia japonica): growing, planting, caring. 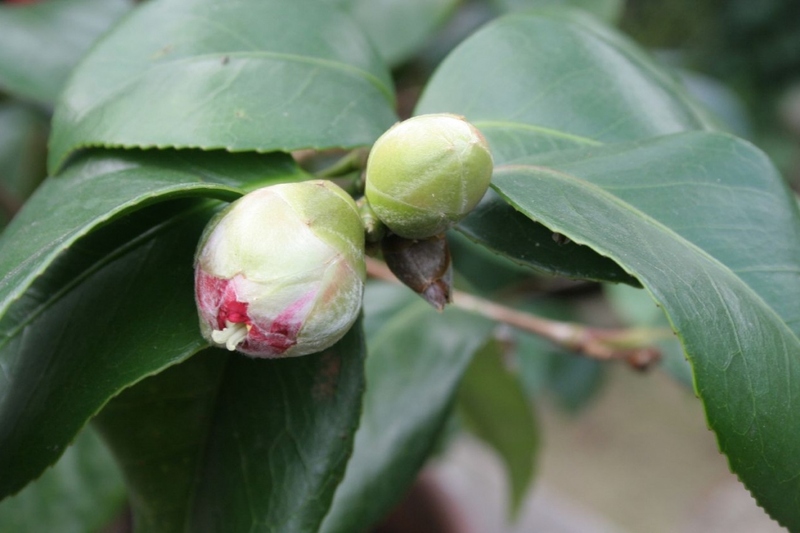 Tens of thousands of cultivars of C. japonica in cultivation, with many different colors and forms of flowers ! 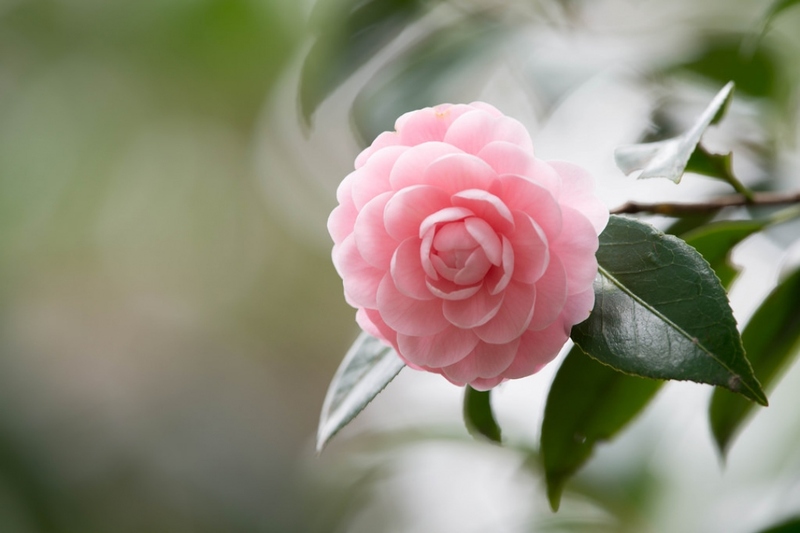 Camellia japonica - common camellia, Japanese camellia, or Rose of winter - is one of the best known species of the genus Camellia. 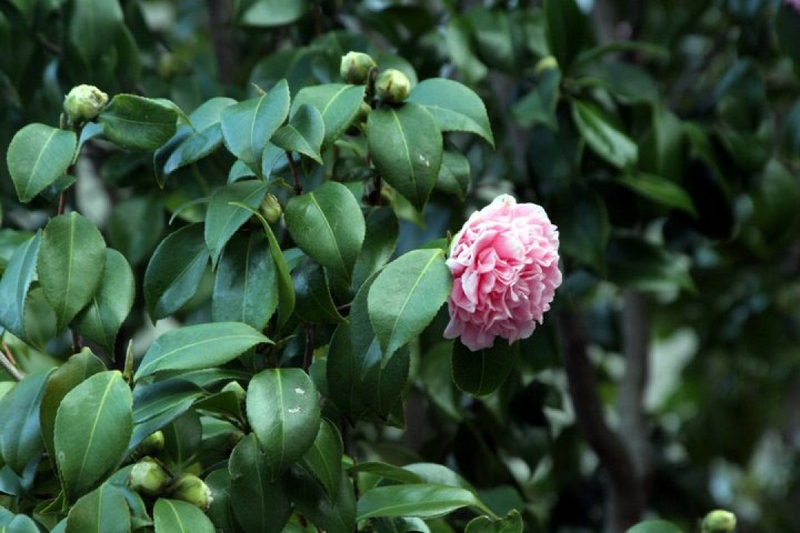 Camellia japonica is a flowering tree or shrub, usually 1.5–6 metres (4.9–19.7 ft) tall, but occasionally up to 11 metres (36 ft) tall. 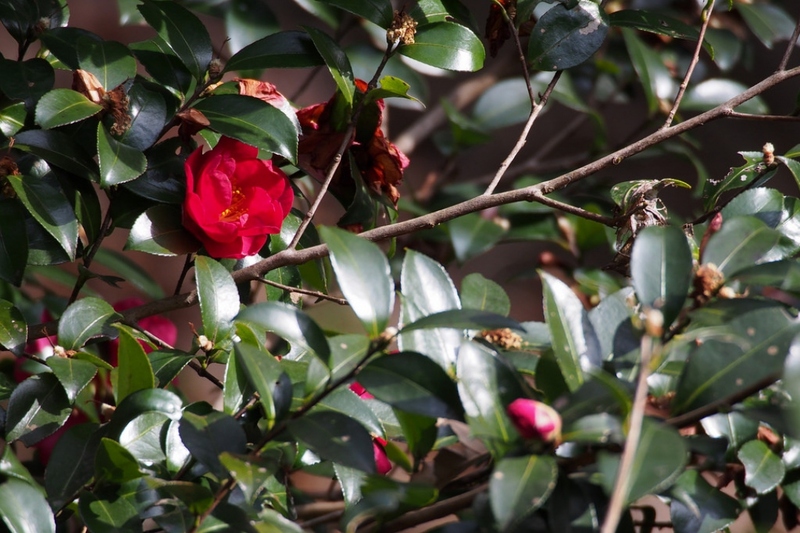 The youngest branches are purplish-brown, becoming grayish-brown as they age. 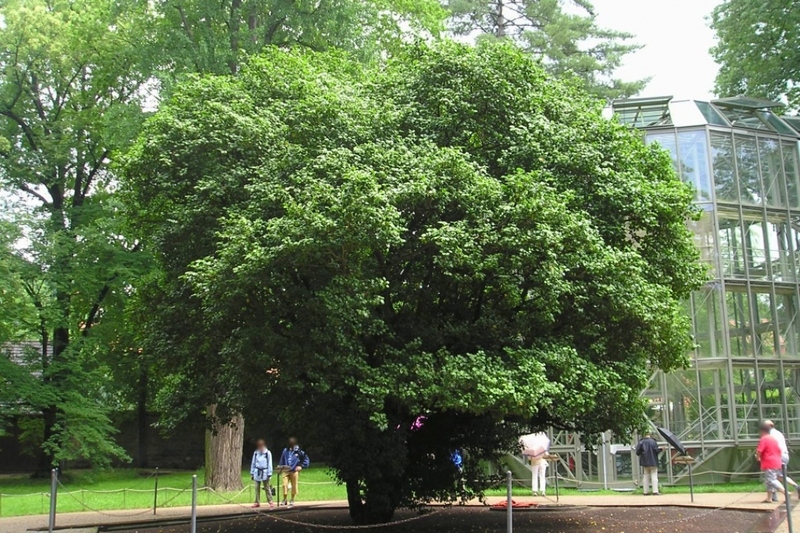 The alternately arranged leathery leaves are dark green on the top side, paler on the underside, the base of the leaf is pointed - « cuneate » - the margins are very finely toothed - « serrulate » - and the tip somewhat pointed. 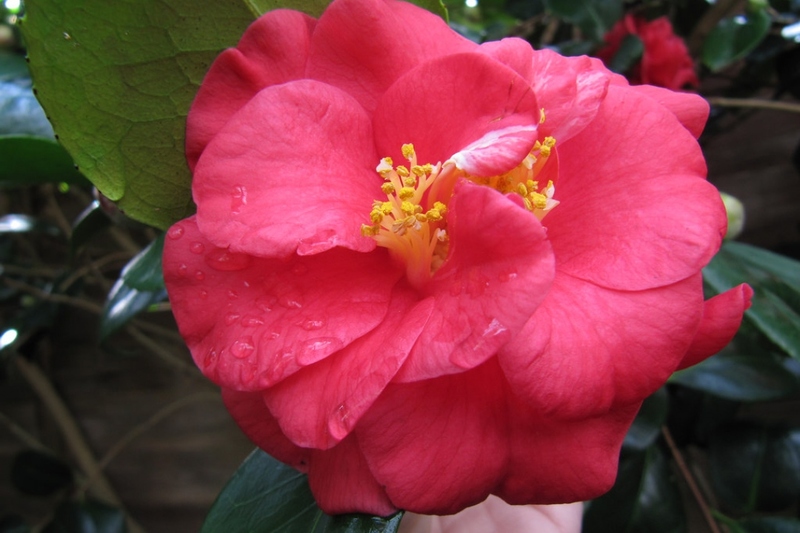 Camellias should be planted in the shade in organic, somewhat acidic, semi-moist but well drained soil. If the soil is not well drained, it can cause the roots to rot.